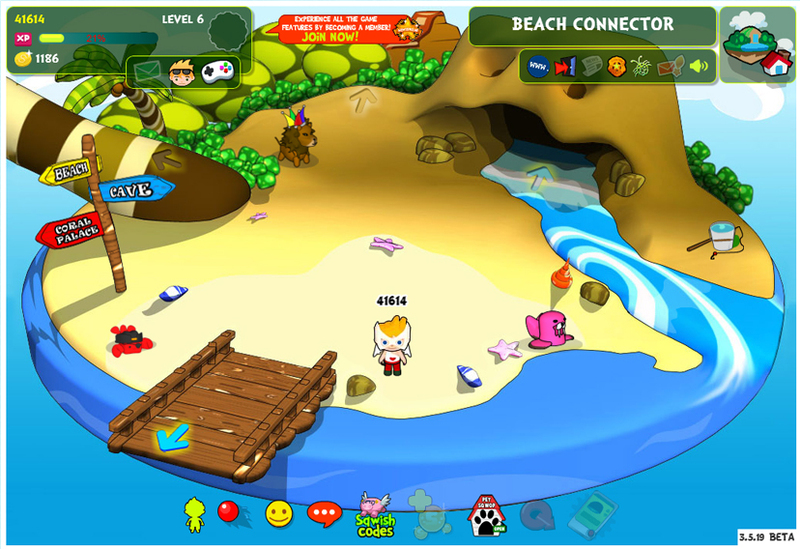 Come make a splash on the beach with all your pals! There’s plenty to do on the beach, from fishing and surfing; helping keep the sea clean; or celebrating with a wild beach party! 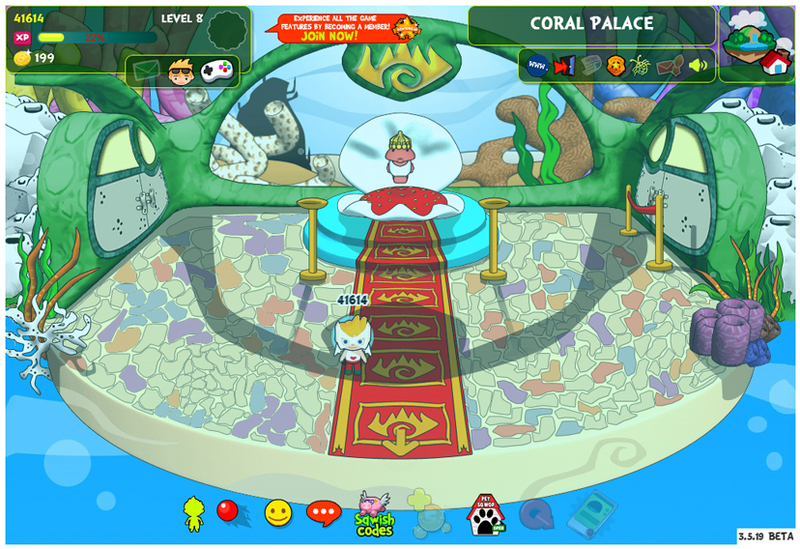 One of the most luxurious locations in all of SqwishLand, the Coral Palace is home to one of the fanciest shopping districts in all of SqwishLand! 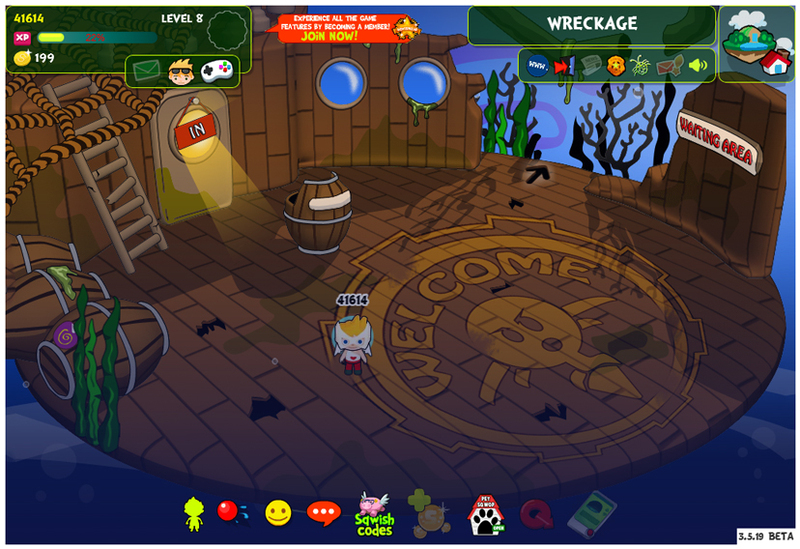 Once a famous merchant ship, it sunk long ago and is now inhabited by Doctor Ocmo, the Sqwoctopus, who uses it as his very own vintage doctor’s office. Bring your sick pets here to find the cure for whatever may be ailing them! 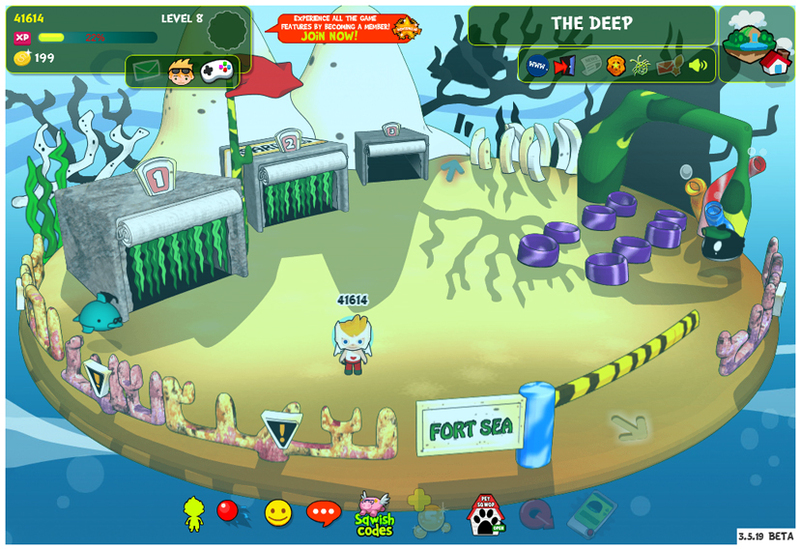 Rumors say that Sqwabbles lurk in the mysterious depths of the deep blue Sea SqwRegion. What adventures are in store for you at the bottom? Only one way to find out!